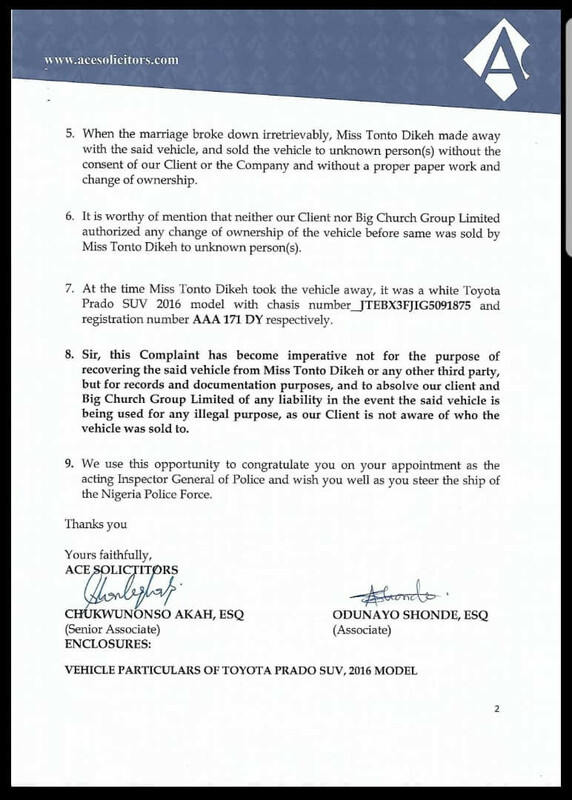 Things might not be looking good for Tonto Dikeh right now as her ex husband, Churchill Olakunle, has filed a petition to the Inspector General of Police over her illegal sale of his SUV. 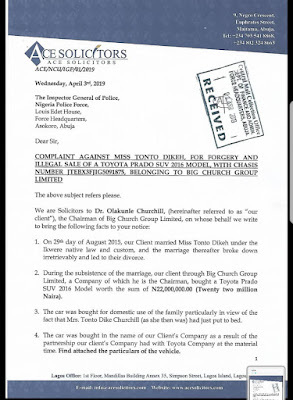 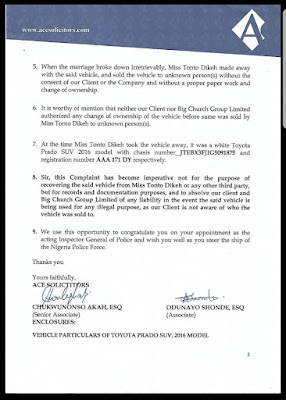 Churchill lawyers submitted a petition to the office of the IG of police where he claims that he acquired a Toyota Prado SUV worth N22M for his organisation, Big Church Group a few years ago. 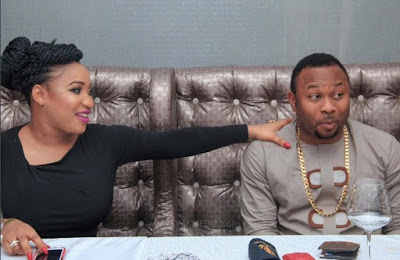 He went on to reveal that after Tonto Dikeh welcomed their son, Andre(King), the car was then converted to home use. 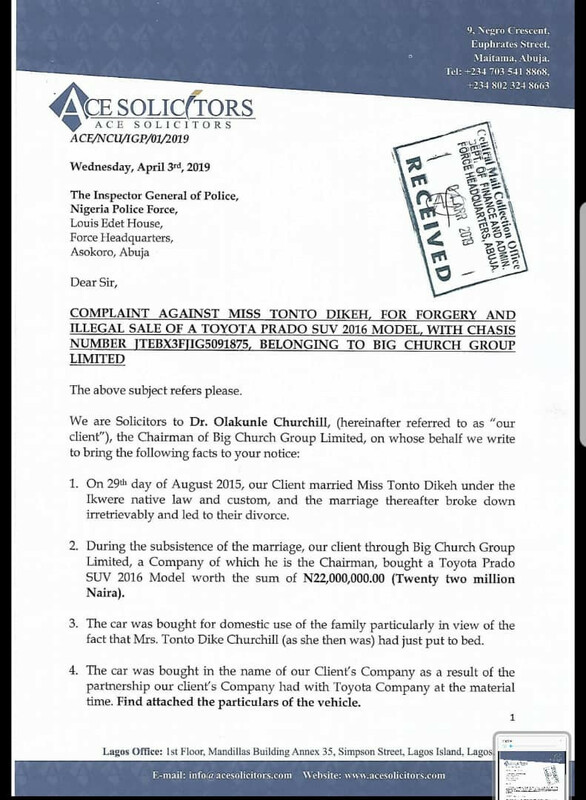 However, after their divorce, Tonto Dikeh allegedly forged the paper documents of the car and sold it.